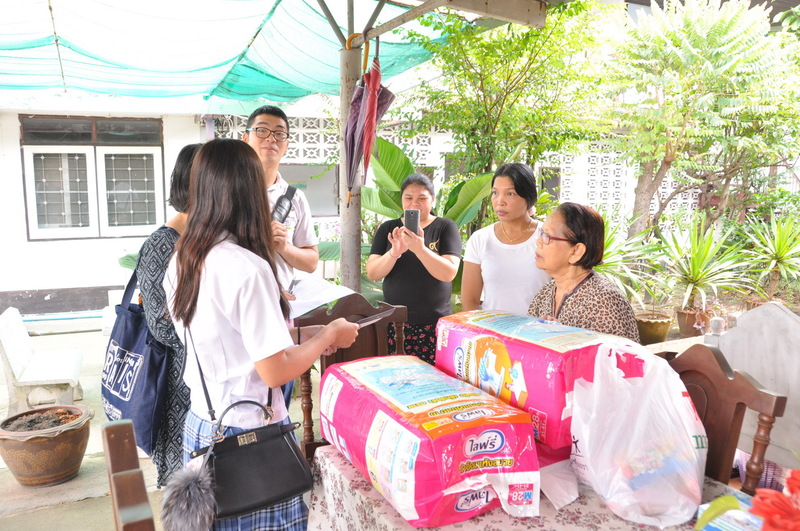 On the 21st of October 2017, The Community Service Club visited Reunkaew Nursing Home located at Ramkhamhaeng soi 21. When we arrived and visited the rooms where the old folks were staying, we saw their sad faces turned into joy. The Club, with the participation of the Middle School and High School students, were able to raise funds of 12,331.25 and donated to the said nursing home. From this short and heart whelming experience, we all learned many things from the little time we have spent with each of them. We also have learned the importance of being grateful that we have parents who take care of us, who provide for our needs and wants, and for the love they give us each day. They never left us and showed support in every circumstance. In return, as days go by, we will shower them with love and support as they grow older each year.